Acme Auto Repair offers high-quality brake repairs and services on makes and models of vehicles. Our team of experienced and ASE-certified auto technicians only uses the latest diagnostic equipment to make sure your vehicle's brake system will be serviced properly. They will inspect all vital components of your vehicle’s brake system, including calipers, pads and shoes, hardware, and rotors, and they will tell you what type of services need to be performed. In addition, we always provide clients with a written estimate of all the repairs and services that need to be performed. After you read it and approve it, only then we start doing any type of work on your vehicle. Do you trust your car’s brakes? If you have any doubts regarding the current condition of your brakes, it’s best to call or stop by Acme Auto Repair. 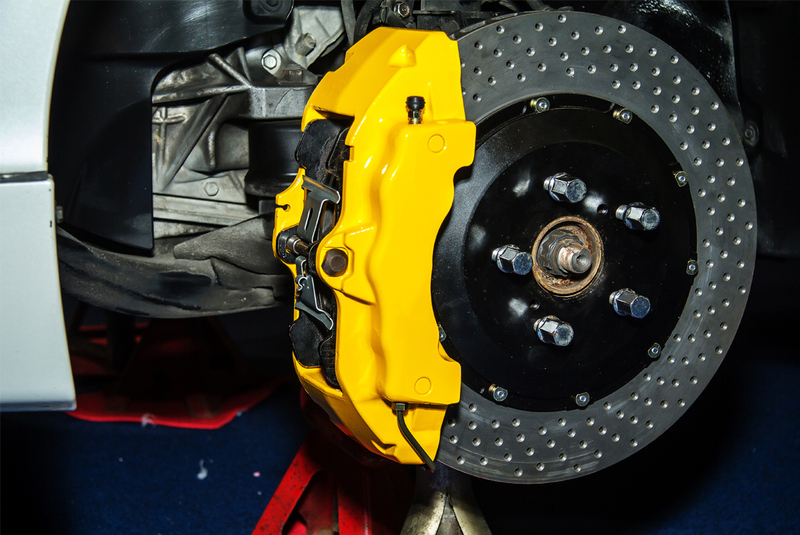 The most common symptoms of a failing brake system include a feeling that brake pulls when you push the pedal, a pulsing sensation in the brake pedal, a grinding sound or wheels coated with brake dust. We specialize in brake repair and service. We can inspect, diagnose, and repair a wide variety of brake issues efficiently and quickly. Acme Auto Repair is ready to take care of your vehicle’s brake repairs and services. If you have questions, you can give us a call at (925) 685-8495. Acme Auto Repair is located at 825 The Alameda Concord, CA 94519. Our auto technicians will get your brakes in top condition, and take care of any other auto repair that you need so that you can feel safe on the road.